The past twenty years saw unprecedented growth and stability followed by the worst financial crisis the industrialised world has ever witnessed. In the space of little more than a year what had been seen as the age of wisdom was viewed as the age of foolishness. Almost overnight, belief turned into incredulity. Most accounts of the recent crisis focus on the symptoms and not the underlying causes of what went wrong. But those events, vivid though they remain in our memories, comprised only the latest in a long series of financial crises since our present system of commerce became the cornerstone of modern capitalism. Alchemy explains why, ultimately, this was and remains a crisis not of banking - even if we need to reform the banking system - nor of policy-making - even if mistakes were made - but of ideas. 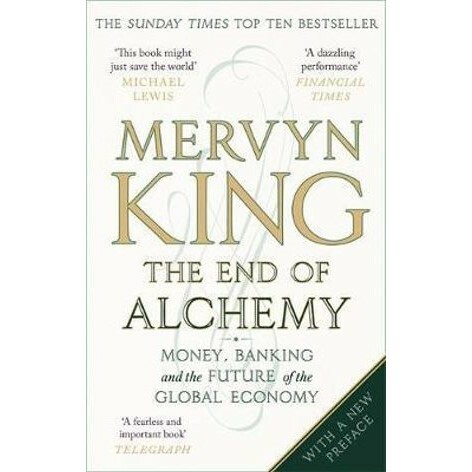 In this refreshing and vitally important book, former governor of the Bank of England Mervyn King - an actor in this drama - proposes revolutionary new concepts to answer the central question: are money and banking a form of Alchemy or are they the Achilles heel of a modern capitalist economy? Mervyn King was Governor of the Bank of England from 2003 to 2013, and is currently Professor of Economics and Law at New York University and School Professor of Economics at the London School of Economics. Lord King was made a life peer in 2013, and appointed by the Queen a Knight of the Garter in 2014.